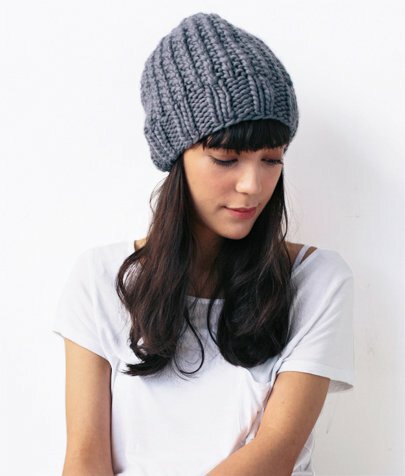 Everyone needs a slouchy go-to hat for zipping around the city. You know the type: wooly, warm, effortlessly cool. A hat that goes with everything, from a leather moto jacket to comfy sweats and giant nerd glasses. This pattern includes a one-hour HD video tutorial that guides you step-by-step through the pattern from beginning to end. Watch the hat being knit up, and follow along at your own pace! 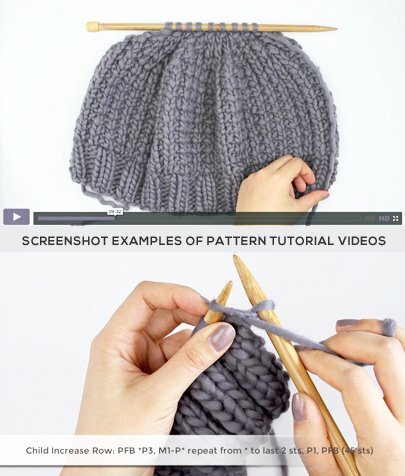 The video tutorial covers how to knit the hat on flat needles and how to seam it together. 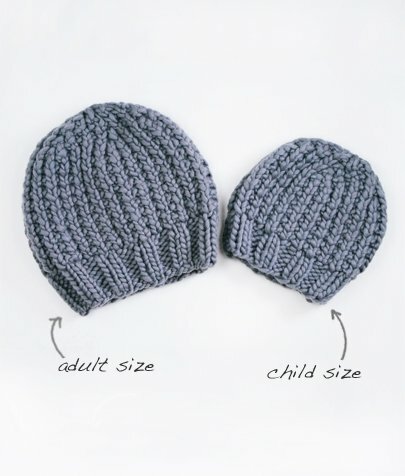 This pattern also includes a child size and written instructions on how to knit the hats in the round. So many options! 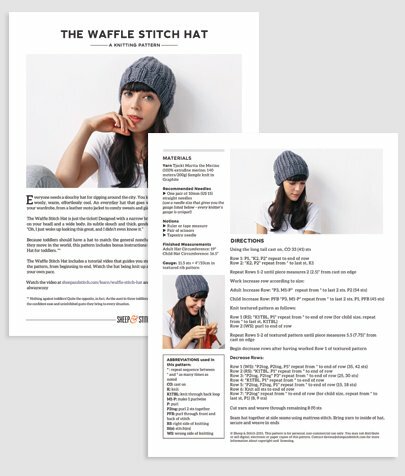 Your PDF pattern will be delivered in an email after purchase. Watch the tutorial video by entering the password (found on the first page of your pattern) on the project page.